Owatonna, MINN., July 7, 2017 – Southern Minnesota Initiative Foundation’s (SMIF) AmeriCorps LEAP (Learning Early Achieves Potential) Initiative received continued funding of $348,303 in the nationally competitive 3-year grant round to host 20 FTE AmeriCorps positions. LEAP members focus on school readiness in preschool settings in SMIF’s 20-county region. SMIF's program is one of 13 in ServeMinnesota's portfolio of programs. 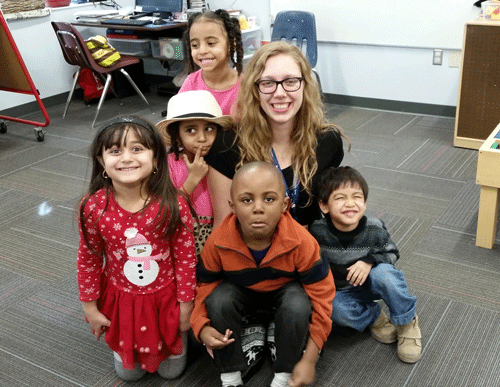 Minnesota received over $36 million in AmeriCorps funding from the Corporation for National and Community Service (CNCS), the federal agency for service initiatives and volunteering. Additionally, $11 million will go toward post-service Segal AmeriCorps Education Awards which can go toward tuition or student loan payments. SMIF is actively recruiting for 2017-2018 AmeriCorps LEAP members. Find more information and a link to the online application at www.smifoundation.org/americorps. The term runs from August 15, 2017-July 15, 2018. Members receive a living allowance, health care and a $5,775 Segal Educational Award, along with monthly trainings. 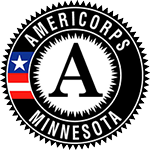 Beginning this fall, AmeriCorps members serving in Minnesota will join the more than 80,000 AmeriCorps members serving across the country in 21,600 locations. Since the program’s inception in 1994, more than 1 million men and women have served in AmeriCorps, providing more than 1.4 billion hours of service and have earned more than $3.3 billion in education scholarships to pay for college or pay back student loans, more than $1 billion of which has been used to pay back student loan debt. To learn more about SMIF’s AmeriCorps LEAP Initiative, contact Barbara Gunderson at barbarag@smifoundation.org or 507-455-3215, or visit our website at www.smifoundation.org/americorps. We are committed to the inclusion of all individuals without regard to disability, race, religion, national origin, gender, sexual orientation, political affiliation or other non-merit factors. Reasonable accommodations provided upon request. This document is available in alternative formats.